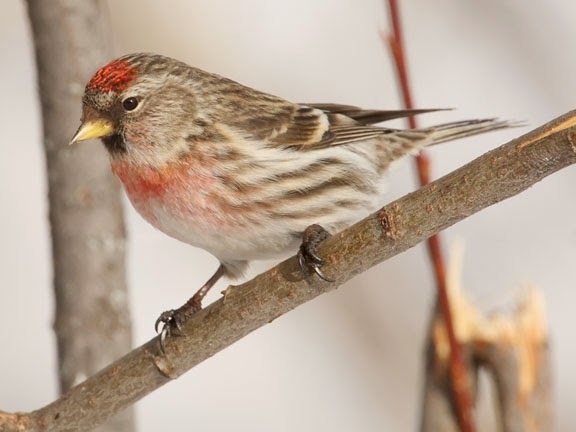 Redpolls are small northern finches that breed in the arctic and tundra regions. They are circumpolar, meaning that they are found in northern portions of North America, Europe and Asia. 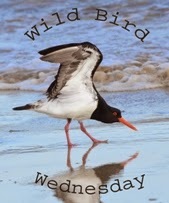 During the winter they head south down to southern Canada and the northern United States. They are primarily seed eaters. The hoary redpoll is related to the common redpoll. Both species inhabit a similar breeding range, although the hoary redpolls range extends further north. 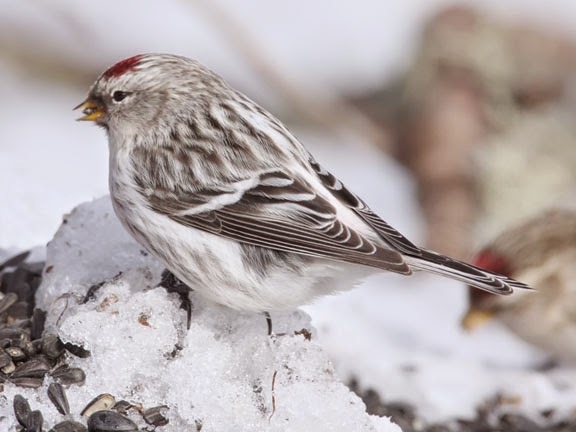 Often during the winter hoary redpolls will mix in to flocks of common redpolls. As you can tell by the pictures above, the hoary is the first pic and the common is the lower, both species look very similar. The hoary usually appear more white than their common cousins. I had never heard of these birds until seeing them here. It's a pretty little finch. The Hoary Redpoll's whiter colour is perfectly suited to it's envirament, and is very well camauflaged in the snow. Both lovely birds, and photos. Never knew this one before. Looks similar to sparrows. Hope we have them again this year in the Cities! Really nice shot! Interesting to learn about them too. Does not look hoary at all!